The Islamic State has posted a video that appears to show the beheading of its second Japanese hostage, Kenji Goto. The executioner warned the Japanese government that ISIS has “an entire army thirsty for your blood”, and will continue to target Japanese citizens. In other news, two Muslim feminists in Los Angeles have opened a women-only mosque. Women may enter it by the front door and sit in front. A woman gives the sermon, and no men are allowed inside. Thanks to C. Cantoni, Fjordman, Insubria, Nancy, Papa Whiskey, and all the other tipsters who sent these in. The following clip is from a hearing held recently by the House Select Committee on Benghazi. In it you’ll see Rep. Trey Gowdy (R-SC), the chairman of the committee, question Joel Rubin, the Deputy Assistant Secretary of State for Legislative Affairs. Jonathan Hanks sends this guest essay about the Potemkin march staged by world leaders in Paris several weeks ago. Well, on Sunday January 11 we saw an amazing show of support for the slain journalists and cartoonists on the streets of Paris. Millions of French men and women demonstrated their solidarity by waving ‘Je suis Charlie’ banners as they marched in memory of what was the most awful terrorist attack at the heart of the French Republic witnessed thus far. In addition to the throngs of ordinary citizens, a goodly number of world leaders were present, ostensibly there to show unity with the French people and mourn for the victims of the savagery. 1. Global Jihad. By this I mean the assault of radical, extremist Islamic elements against the Western world and all that we hold dear. 2. Free Speech. Whatever free speech meant in the past, it is clear that the gold standard for free speech in today’s Western world means the ability to criticize Islam and Mohammed without fear of being penalized and harassed by our own governments, or being shot dead or beheaded by some Muslim fanatic. 3. Jew hatred. The forces of anti-Semitism that are present not only in France but throughout Europe and which have already led to the targeted assassinations of several French citizens — the latest of which were the four killed in the Jewish market this month in Paris — are undeniably on the rise. You don’t hear that phrase used much by the media anymore, do you? Funny about that. In early 2011, when mass protests first began in Tunisia and Egypt, refugees started boarding rickety boats in North Africa and making the crossing to Lampedusa, Malta, Sicily, and other convenient destinations in the EU. Later on that year the United States, Britain, and France grew impatient with the slow pace of organized dissent in Libya, and decided to jump-start a “Libyan Spring” by shipping money, arms, and special forces advisors to Al Qaeda and other terrorist groups in Libya. These misguided actions created new waves of refugees (some of them deliberately released by Col. Qaddafi) pouring into the overtaxed reception centers on Lampedusa. Now, four years later, a major European politician is finally publicly discussing what was obvious to anyone who followed the news back in 2011: the Arab Spring was a glorious opportunity for Islamic terror groups to slip mujahideen into the EU surreptitiously, disguised as refugees. Note: This post was originally posted on January 28, and was “sticky” for a few days. Scroll down for more recent pieces, including Paul Weston’s latest essay, “Merkel and Local Authorities Cut the Head off the Hydra”, a video about an ISIS Terror Cell in Northern Israel, “The Mark of Evil”, “The West is Abolishing Itself”, a video of an Israeli speaker at a PEGIDA demo in Frankfurt. Prior to analyzing the fallout from the recent “extremist events” that we discussed in Part 1, it’s useful to take a look at the Laws of Social Reality that govern these phenomena. Since the 1960s, this law has been immutable in all the lands of the Euro peoples, and was lavishly on display after the recent “extremist” unpleasantness in majority-white countries. But it alone cannot convey the manifold ways in which the West’s liberal rulers’ partly psychotic, partly conniving obsession with designated minorities, Muslim or not, affects our world’s present state and future destiny. In homage to the prematurely-departed Larry Auster, l shall formulate here the laws subsidiary to his and bracketing this phenomenon. 1. Liberal Society approaches all majority-minority issues with a quadruple blindfold. Presentism is the first blindfold. All past attitudes and deeds relative to any minority are judged by present standards. Relativism is the second blindfold. All judgments relative to past or current attitudes and deeds toward any minority are applied to White society alone. Outlyism is the third blindfold. Any negative statistical fact relative to the mean or majority characteristics of any designated minority is shouted down by quoting the far-outlying exceptions to that statistical fact. Sentimentalism is the fourth blindfold. All negative hard or statistical facts relative to any minority group are shouted down in preference to cuddly feelings about that group or implanted feelings of guilt relative to it. 2. The main goal of Liberal Society is to implement a radical equality that is unnatural and in defiance of salient biological facts and unchanging human reality. This can only be accomplished by coercion of the majority and squashing of once-common civil liberties. This, in turn, requires an enormous growth of the Liberal-Oppressive State, with its joined canopy of social repressions and engineered culture implemented by all societal institutions at levels as extreme, if not as violent, as they were under the Nazi Gleichschaltung. 3. Liberal Society inexorably fractures and breaks down due to its promotion of designated identitarian minorities and cultivation of the radically egalitarian fictions related thereto. 4. The ruling elite can keep Liberal Society together only by employing egregious means bordering on fascism. Below is the latest essay by Paul Weston. It was originally published at Liberty GB in a slightly different form. When a country is slowly dying (or being slowly murdered) it makes for depressing reading when one charts its death throes. This is precisely why I don’t write articles such as this on a regular basis. I really don’t want to foreshorten the time we have left by depressing people to such an extent they break out the accumulated sleeping pills, or reach for a tumbler of whisky and the trusty old service revolver in the study. But sometimes it has to be done. The contents of this article are nothing new. They are not an exceptional set of events in an exceptional time. They are simply one week’s worth of news stories representing what goes on day-in day-out, week-in week-out, year-in year-out, within a country that dies a little death every day from the left-wing knife intent on making a thousand cuts. It is hard to know where to begin, but the ongoing population replacement of the native British is always a good start. The foreign-born population of London is set to outnumber the native-born within the next fifteen years. What should be noted here is that the English are already a minority in London and that the majority of “native” London-born are not actually English at all. This ongoing catastrophe means our virtual extinction even before one factors in the booming foreign-born. In other words, the capitol city of England is already lost to the English and it will become exponentially worse very quickly. The demographic decline of the English due to below replacement-level birth rates, coupled with the demographic explosion of Islam via mass immigration and high birth rates, is leading toward another totally predictable catastrophe in terms of democracy. For the first time in the history of Britain, foreign-born voters are set to decide the electoral outcome of several parliamentary constituencies. If you are English and you live in Brent, it is highly likely you will be less than impressed about living in a multiculti war zone. And if you think there is a democratic way out of this you will be sorely disappointed. The ‘Migrant’s Rights Network’ put it thus: “Migrants do not vote as a bloc, but historically they tend to favour parties with positive attitudes to race and immigration.” Or, in other words, don’t be negative about your racial and cultural dispossession you white, English bastards. Those who are replacing us are nothing like us in civilisational terms. Which of course has consequences. In the aftermath of the Muslim murders in Paris, British Jews are feeling the anti-Semitic hate in Britain as well, which is hardly surprising when our witless ruling elites thought it a good idea to import a brown version of the Nazi party into what was once a peaceful and cohesive country. The virulently left-wing BBC is also complicit in the rise of anti-Semitism in Britain, as they spew their vitriolic bile about Israel 24/7. The head of the BBC’s Religious Affairs Unit is a Muslim with a questionable past, whilst Tariq Kafala, the erstwhile head of BBC Arabic (Al-Beeb’s largest non-English speaking broadcaster…) stated the Muslim terrorists responsible for the Paris murders must not be described as either Muslims or terrorists; presumably because to do so might make people equate Muslim terrorism with Muslim terrorists who adhere to the scriptures of their Holy Book which call for Muslim terrorism. In a series of attacks in the Sinai, forces of the Egyptian franchise of the Islamic State have killed at least forty people, including soldiers, police, and civilians. The Egyptian army is responding by mounting a major offensive against ISIS in the Sinai. In other news, former Massachusetts governor Mitt Romney announced his withdrawal from the 2016 presidential race, leaving the Republican field largely open to Jeb Bush. Thanks to C. Cantoni, Caroline Glick, Fjordman, Insubria, Jerry Gordon, Mithrandir, Papa Whiskey, Phyllis Chesler, Steen, Vlad Tepes, and all the other tipsters who sent these in. Based on the latest news reports from Germany, the prospects for PEGIDA do not look auspicious. During the past few days, five of the group’s top leaders followed Lutz Bachmann’s lead and resigned. Obviously PEGIDA’s leaders are just as afflicted with the Screaming Nazi Heeber-Jeebers as anyone else in Western Europe. JLH has translated an article written by a resident of Würzburg who made the long trip to Dresden to see a PEGIDA rally where the group was first formed. This was before the group was decapitated, so he didn’t know that one of the speakers he listened to would be resigning a few days later. This article demonstrates the real danger of Dresden — it shows that huge numbers of peaceful citizens can have a real effect. Here, they were not outnumbered by the thugs of the Left. They smothered attacks just by their size. Given time, this phenomenon could have spread, so it had to be finished off. That is why Bachmann was not just disgraced by the contributing media, but threatened with prosecution. Think EDL and its official harassment as well as its violent street opponents. 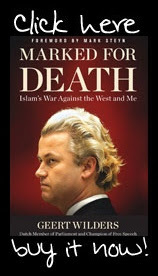 Think the serial prosecutions of Geert Wilders, preceded by the brazen assassinations of Islam-critics — one of whose assassins is already out of jail before the body of his victim has had time to fully rejoin the earth. The pincers of Leftist thugs and elitist establishment are hard to fight. As a citizen of a small Franconian city, I have been acquainted with PEGIDA only through the Würzburg WÜGIDA. But to experience the original Dresden PEGIDA on a Sunday — yesterday — that was a once-in-a-lifetime chance. So, five hours by train through the snow-covered winter landscape to the faraway capital city of Saxony. Würzburg was the first city to show solidarity with the Dresdeners — against violence by foreigners on German soil, against abuse of the right of asylum, against the injustice of the whole “colorful republic.” This evening in Würzburg is already the tenth demonstration. And like the previous nine times, this will mean being closed off behind a steel grille, protected by a hundred police officers in a side street of the inner city, hopefully unnoticed by anyone and not shouted down by ear-splitting screams — just to be allowed to speak your mind “publicly” for thirty minutes. On all sides, blue lights, police checkpoints, shouts of “Nazi pigs” from the masked louts of the militant Antifa — Merkel’s and Gauck’s “colorful” version of the SA [Hitler’s Sturmabteilung], our guides to the glorious diverse future. Anyone who runs this gauntlet needs courage and an iron will. Faced with this chaos, the average Würzburger runs. That is the whole point: scare off, diminish, destroy. And a little help from the militant Antifa to create the impression that criticism of asylum policy, criticism of policy on foreigners, criticism of the policy on the Islamization of Europe — that is all just the opinion of very few people. I have vividly experienced this ghostly setting in Würzburg. Yesterday I did not want to pass up the chance to see the original in Dresden. On the way by 7:00 AM train to Fulda and then eastward. That still seems like a trip over an invisible border. At one time a border between freedom and tyranny. Today, it is still that, but strangely reversed. When the train finally reached Saxony, I caught myself taking a relieved breath. Saxony, Dresden. If anyone had told me — the convinced “Wessi” — twenty years ago that these names would one day signify “freedom” and “democracy” to me… I would not have believed it. The Islamic State is recruiting in northern Israel among the Israeli Arab population. The following clip from YNet TV features an interview with an Israeli supporter of ISIS. A few weeks ago the Israeli security services uncovered six members of an ISIS terror cell in northern Israel. The cell’s main organizer, Adnan Jameel Ala Adin, a 39-year-old from Nazareth, has been a successful Israeli Arab lawyer. He recruited other young Arabs to join and fight along with ISIS in Syria. At his farm they trained in assembling Molotov cocktails, and they bought sheep to train in beheading, all with the objective of escaping to Syria. He added the following: “Does anyone still have the temerity to doubt the virtue of this Hadith? To the rest of his cell members, Ala Adin described himself as the future ISIS military chief of staff in Palestine. A disturbed young man (identified by the Grauniad as “Dutch-speaking”) forced his way into the broadcasting studios of the state TV network in the Netherlands. Brandishing a fake handgun, he took a security guard hostage (was the guard perhaps unarmed?) and entered a studio, demanding that he be given airtime so that he could make an important national address to a live TV audience. He said he was part of a hackers’ collective, and that he had co-conspirators ready to blow up dirty bombs all over the Netherlands if he were harmed. He never got the airtime he demanded, although the incident was recorded and the tape later made public. After a few minutes police confronted the man, disarmed him, and arrested him. In other news, Cuban President Raul Castro demanded that the United States end the embargo and return the base at Guantanamo Bay to his country. Thanks to C. Cantoni, Diana West, Fjordman, Gaia, Insubria, Jerry Gordon, MFK, Papa Whiskey, Phyllis Chesler, Vlad Tepes, and all the other tipsters who sent these in. The following essay by Nick McAvelly was originally published at Patriot’s Corner in a slightly different form. Berlin, Isaiah (2012-12-31). The Proper Study Of Mankind: An Anthology of Essays (p. 237). Random House. Kindle Edition. Politicians have spent years telling us that multiculturalism is the final solution to the question of how human beings ought to live. Not one of them has the decency to acknowledge the murders that have been committed in its name. History teaches us that when an elite group believe they have discovered a final solution, they will sacrifice anyone in an attempt to make their final solution a reality. The social engineers who have inflicted the poison of multiculturalism upon us are no different in this regard. The French Jews and cartoonists who died at the hands of the Kouachi brothers in Paris on 7th January 2015 are the latest people to die in the name of that evil doctrine. Berlin, Isaiah (2012-12-31). The Proper Study Of Mankind: An Anthology of Essays (p. 239). Random House. Kindle Edition. The traitor class have decided that Britain must be culturally enriched and turned into a multicultural paradise. So all criticism of Islamic doctrines and practices has been declared verboten. This has allowed the traitor class to use the religion of Islam as a targeting system so they can identify individuals with the moral backbone and intellectual integrity to defend Britain’s traditional Judeo-Christian values. In Great Britain today, if you speak up and state the most obvious and inescapable facts: Britain is a Christian country, our traditional values are based not on Islam but on Judeo-Christianity, Britain is not and has never been an Islamic country, and Islamic doctrines and practices are incompatible with British values and with human rights legislation (just read the USCIRF reports on the human rights abuses that happen year in and year out in the Islamic world), then you have the potential to threaten the legitimacy of the traitor class. And once you have spoken up, they know who you are. Below is Rembrandt Clancy’s translation of an essay by Alexander Kissler that was published last week in Cicero Online, a German magazine of culture. Pork disappears from school books, mosques from soap packages. Self-censorship of the West sprouts strange blossoms. The world is becoming purer with each passing day. Now even “Aldi” [a global supermarket] has shown some understanding and is no longer asking us to buy soap with packaging showing a mosque. Questions by committed Moslems were enough to purify the range of products. Gone are the cupola and minaret. “This meaningful illustration placed on some sort of consumer product” was truly inappropriate, wrote a man of Turkish origin from Buxtehude. “Aldi” obeyed and went on record as saying that the liquid soap “will soon be unavailable in our branches”. They will be more sensitive in the future, according to the statement. So it goes in the mad days of early 2015. On Sundays freedom of the press and freedom of speech are invoked, the state invites itself to trip the ring-formed dance of the intrepid,; from Monday to Saturday, the West shreds its values and a terror triumphs, its threats having long since flash-frozen our heads. Whereas the intrepid may still whistle loudly to themselves in the forest, outside, in the wild where creeds are formulated, the programme is known as appeasement. With many Muslims, the best policy is not to tangle with them; therefore, the idea is to deal with all Muslim demands in the spirit of submission. Out of the state of being held hostage, a condition into which the terrorists are taking the peaceful majority, comes the winning of social territory belonging to this very majority, all as a result of the terrorism of the few. That is no secret delight; it is a classical windfall profit. For instance, those who have been getting worked up for some time over the blasphemous caricatures of the homosexual illustrator Ralf König, are now experiencing satisfaction after the Paris attacks. König removed from his homepage a cartoon which showed representatives of the West kowtowing to a bearded Muslim, to an imam perhaps. König explained that he is not proud of this step; he is not well and he is anxious about “lone, sick lunatics”. And another leaf falls to the ground from the tree of freedom, it becomes dung and then it is as if it never existed. Or take the Parisian private theatre Ciné 13. There the play “Stoned” by Jean Chollet was cancelled two days after the premiere. And why? Was it because it turned out that the theme of the play, the stoning of a woman in the name of Islam, is too far-fetched and that there is no such stoning at all? No. The play was off because the Prefect felt he could not guarantee the security of the theatregoers against fanatical Muslims. According to reports from news correspondents, not one single theatregoer raised his hand; not one rose to speak in favour of artistic freedom, when the artistic director announced her decision to the public. Our brains are flash-frozen, and our hearts as well. The English-language news section of Al Jazeera has banned the use of the words “terrorist”, “Islamist”, and “jihad” in its reporting. No JIM for Al Jaz! Meanwhile, Facebook has censored an image of the prophet Mohammed. In other news, a White House spokesman said that the Taliban are not a terrorist organization. Thanks to Diana West, Fjordman, Insubria, Nick, Papa Whiskey, Phyllis Chesler, Srdja Trifkovic, Steen, Vlad Tepes, and all the other tipsters who sent these in. On Monday January 26 the first PEGIDA demonstration in Frankfurt Heidi Mund, “the brave German”, was one of the featured speakers. There’s an article about the event in Haaretz (in Hebrew), and more (in German) at Politically Incorrect, here and here. For links to previous articles about PEGIDA (Patriotische Europäer Gegen die Islamisierung des Abendlandes, Patriotic Europeans Against the Islamization of the West) and related movements, see the PEGIDA Archives.